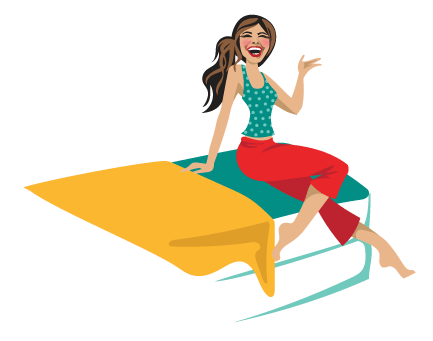 Wright Mattress Review – Is that the RIGHT mattress? Wright mattress is a product of engineering, research and a lot of tests, and it's comfortable as like sleeping on clouds. The W1.27 mattress got its name because it’s the 27th prototype the company tested before agreeing it’s the right one they’re going with. All this refinement was designed to ensure you get to sleep on a comfortable memory foam mattress that addresses most people’s needs. Top Layer: Composed of 1.5 inches of gel-infused memory foam. This weighs 5 pounds, which means it’s very dense. Normal memory foams have only a 3-pound density. Middle Layer: Composed of 3.5 inches of foam. This serves as the support and comfort foam. It’s proprietary foam they label as the Zero Gravity foam but not much detail is released about it. Bottom Layer: Composed of 6 inches of foam weighing at a 2.4-pound density. This is considered a strong support since the standard is 1.8 pounds. Both the top and bottom foams are built solid to ensure they will last and can withstand even the toughest usage. 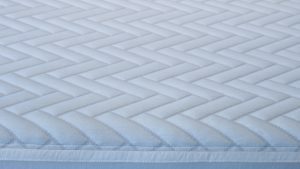 The cover has a beautifully quilted patterned surface that’s beyond the standard with most mattress companies today. Plus points because it’s easily removable and can be popped in the laundry without any problem. There are also built in breathable vents on the sides to allow airflow and prevent heat retention. The cover feels very comfortable and amazing to touch and lay down. This Wright Mattress is on the firm side of a medium. On a scale of 1 to 10, with 10 being the hardest and 1 the softest, the Wright mattress would be on a 6. This is subjective though and will depend on your weight and body shape. You will love this mattress if you are a fan of medium-firm mattresses because it keeps you properly aligned. You won’t need to squish into it or struggle to find comfort. A common complaint for memory foam users is it either conforms too fast or conforms too slow. With the Wright Mattress, it manages this problem by adjusting to your body at the right pace. Personally, I don’t like the feeling of lying down on a mattress and knowing I’ve hit sunk so deep I’ve hit the second layer of foam. 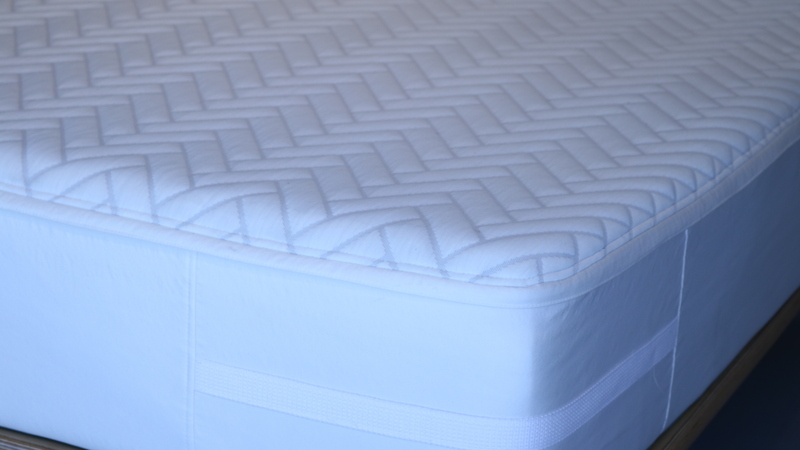 With the Wright Mattress, it’s hard to tell whether you’ve reached the middle layer or not because it’s so refined. The closest I could describe the feeling is similar to sleeping on a luxurious Tempurpedic mattress. When it comes to quality of materials used along with design aesthetics, the Wright Mattress fully delivers. It’s one of the most premium mattresses out there that doesn’t leave you wondering whether your money was worth it. Speaking of money, it is one of two hesitations I have when recommending this mattress. It is priced much higher than most memory foam mattresses today. (You can use this link to knock back $200 on the price.) 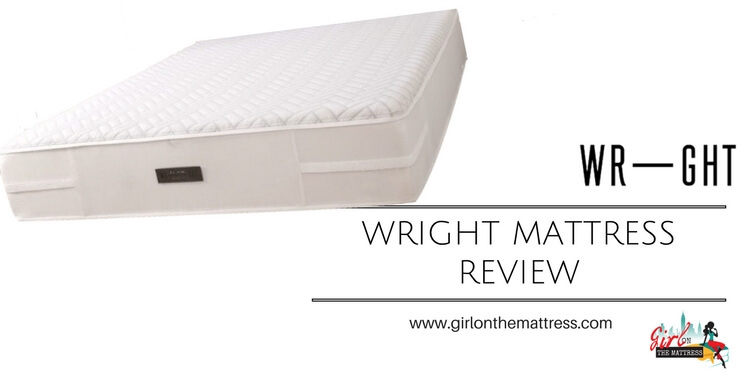 If the price isn’t a problem, I’d say go for the Wright mattress, it’s definitely right stuff and worth the money! Also remember, the edge support is not very supportive. 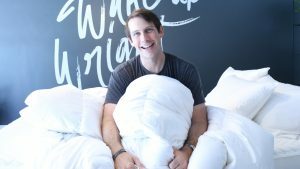 When I asked about it, “since they worked on the perfect design and prototypes, why not with a better edge support”, the founder Dan said they wanted an equal balanced mattress, and found out edge support is not really what sleepers need (the full interview and review videos are coming soon). So it’s designed with purpose like that, and if you’re okay with little edge support, then Wright will be a great match for you. For those who have no problem with these two points, head on over to the Wright Mattress site and grab one for yourself.